Putting the right people at the top of your organisation is key to its future growth and success. 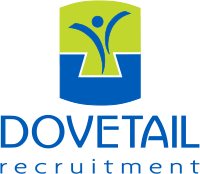 At Dovetail Recruitment, we recruit at all levels from trainee roles right up to Director, Executive and Senior Management roles. Your company’s top tier of managers and directors need to work harmoniously together to capitalise on business opportunities to maximise your company’s potential. Get this right and the effects can be felt throughout the whole company – from the top down so to speak. And we know how to get the right people for your Executive team– so you can make this happen. 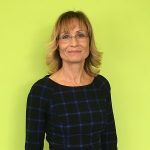 Extremely skilled in Executive recruitment, Liz knows the intricacies involved in firstly finding the right candidate(s) for interview, as well as managing the whole, and often lengthy process from the beginning right through to completion. Liz is here to negotiate the finer details on your behalf to get you the best people and package at the Executive level. Liz is Dovetail Recruitment’s specialist consultant for Executive Search roles. As founder and director of Dovetail, she certainly knows her stuff! What’s your company culture and does it still fit?